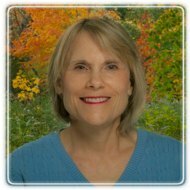 Plainview Therapist: Sherry Henig - Therapist 11803. Send A Message To Dr. Henig. My undergraduate work was at Smith College and Oberlin College; and I earned my Ph.D. in clinical psychology from the Catholic University of America (in Washington, D.C.). My serious interest in relationships began as early as the 1970s, as I did research on dating and romantic relationships during graduate school. I came to New York in 1978 and have been in New York ever since. My professional private practice started in Brooklyn, but soon moved to Long Island; and I have been practicing in the Plainview area since 1985. I have always had a general psychology practice, but I do have expertise in working with children and adolescents, in addition to work with adults. In 1989, I earned a postdoctoral diploma in child and adolescent therapy from Adelphi University. Oddly enough, these days, a marriage therapist can also benefit from understanding the mechanics of divorce, and while I do not practice divorce mediation, I do have training in divorce mediation through the Ackerman Institute in New York City. I am married, and I have two grown children. You can learn more about my work at my website, www.sherryhenig.com.